In the 1960s, community activists in San Francisco operated free stores and organized free medical care and other services. They called themselves the Diggers, after a 17th-century egalitarian English group of the same name. They also borrowed from "potlatch" ceremonies where Pacific Northwest tribe members earned prestige by giving away their possessions, says Peter Coyote, an actor who was a founding member. "Free stores were just a way of creating a parallel economy based on community," Coyote says. "As people get poorer and as they get more disenfranchised and as they get more cut out of the cash economy, they start to barter and trade." He thinks renewed interest in free stores, like the Occupy Wall Street movement, is a manifestation of frustration with greed. "Poverty is going to reintroduce people to some long-lost ideas of kinship, community, cooperation and mutual aid that they'll find deeply satisfying," he says. Sony Pictures Home Entertainment has just released 1985's THE LEGEND OF BILLIE JEAN on DVD as a "Columbia Classic". The films stars Helen Slater in the title role, and the unrelated Christian Slater as her brother. 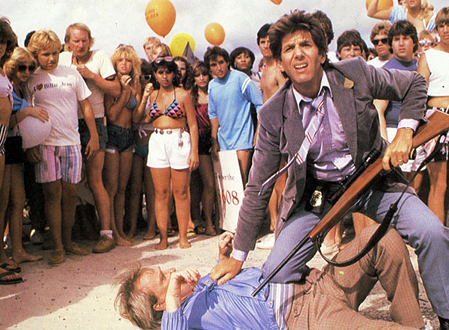 Peter plays the sympathetic police detective while Dean Stockwell plays the district attorney. From hero to cult film favorite, the film tells the story of young Billie Jean Davy, who leads a band of notorious fugitives when a local rich kid steals and wrecks her younger brother’s motor scooter. Her brother shoots the kid’s father by accident creating a generational culture clash. The soundtrack included music by Pat Benatar, Billy Idol and the then-unknown Australian band Divinyls. Earlier this year, the movie was adapted into a musical at the Cavern Club in the hip Silver Lake neighborhood of Los Angeles. "My son was born during the filming of this movie, so it has special meaning to me,” says Coyote. “I loved being with all these bright talented kids on the set and getting to play a pretty nice guy for once. 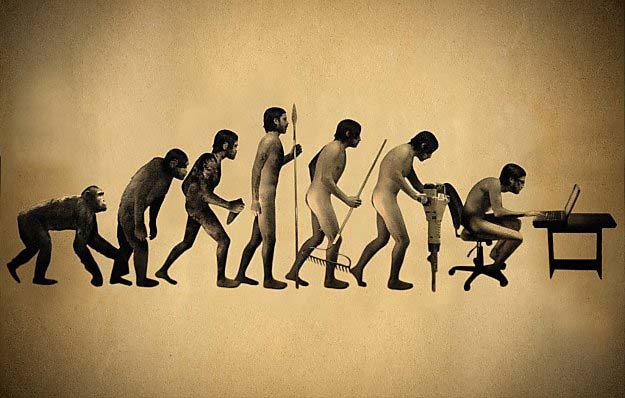 I’ll be happy that a new generation gets to check it out." Word has it that the HBO TV movie, HEMINGWAY & GELLHORN, will be aired in May 2012. The film, directed by Philip Kaufman, recounts the passionate and tumultuous marriage of literary master Ernest Hemingway (Clive Owen) and the up-and-coming war correspondent Martha Gellhorn (Nicole Kidman), following their epic romance through seven countries - from the Spanish Civil War and beyond. As she grew in reputation and stature, the spirited Gellhorn stood toe-to-toe with Hemingway, putting his famous bravado and iconic style to the test. Peter takes on the role of literary editor Maxwell Perkins. 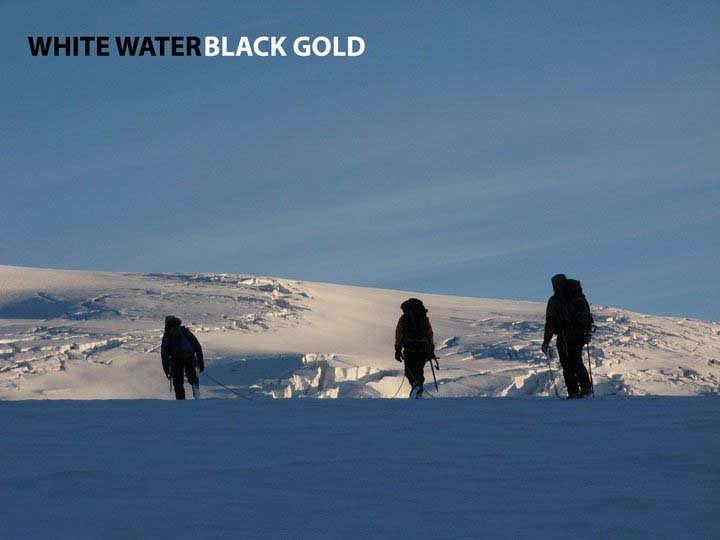 "White Water, Black Gold", with a voiceover by Peter, is a new film about the inextricable link between water and oil in our modern world. It gives an investigative point-of-view about David Lavallee’s journey down the Athabasca River and across western Canada watersheds (Edmonton, Vancouver, Fort McMurray, Fort Chipewyan, Kitimat) in search of answers about the activities of the world's thirstiest oil industry - the tar sands. Following an imaginary drop of water, and later an imaginary drop of oil, he discovers the threats to the third largest watershed in the world and two separate oceans. Filmmaker and Webby Awards founder Tiffany Shlain opens her new documentary "Connected: An Autobiography about Love, Death & Technology" with a personal confession: She once faked having to go to the bathroom during dinner so that she could check her email on her phone. For many web-addicted people, that might not be too shocking a reveal, but for her it was a wake-up call — one that comes close to capturing the film in a nutshell. This latest documentary, narrated by both Shlain and Coyote, screened at the 2011 Sundance Film Festival and has been making its way internationally around art houses this fall. The 80-minute film addresses how increased technological connectivity effects environment, population growth, the economy, relationships and how we think and process information. Peter previously provided the narration for Shlain's film, "The Tribe", an exploration of American Jewish identity and the Barbie doll. 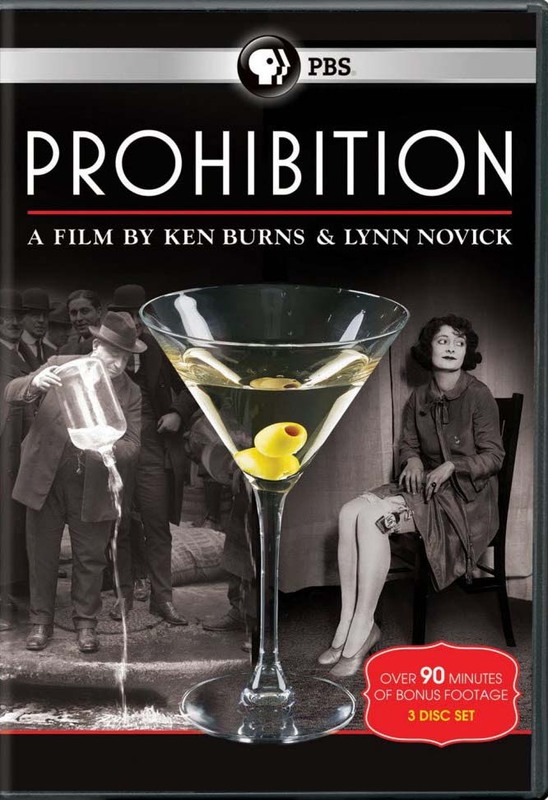 The documentary "Prohibition" that premieres on PBS next week will become available on DVD on October 4th. Nobody does American history as artfully as Ken Burns. He and colleague Lynn Novick chronicle the movement that banned alcohol in this country from 1920 to 1933. Narrated by Peter, the nearly six-hour film is an examination of the law that led Americans to lawlessness and sparked the debate of just what kind of role government plays in the lives of the people. Fans of Burns’ projects will likely not be disappointed. The film dives into the Prohibition era and leaves not a single segment unexplored. Broken into three parts - “A Nation of Drunkards,” “A Nation of Scofflaws” and “A Nation of Hypocrites” — Burns travels everywhere from the homes of those wives desperate to abolish all alcohols to the speakeasies that multiplied in the law’s wake. What Burns does exceptionally well is give an all-encompassing history lesson without ever getting boring. There are plenty of historical photos and film footage. There’s plenty of sensational stories, heroes and villains. 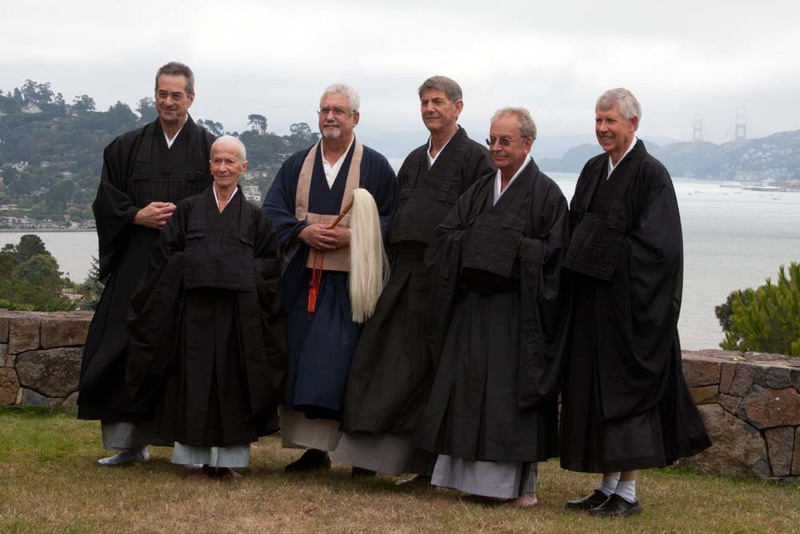 On August 20th Peter was ordained as a Zen Buddhist priest by his teacher, Chikudo Lewis Richmond Roshi, in the lineage of Sunryu Suzuki Roshi, who founded the San Francisco Zen Center, Green Gulch Zen Center and Tassajara Monastery. The ordination ceremony was held at the Community Congregation Church in Tiburon, California, because this is a "lay" lineage, meaning they do their work in the world and do not own a temple or permanent center. Peter's Buddhist name is Ho Sho Ji Shi, which means Dharma Voice, Compassion Warrior. 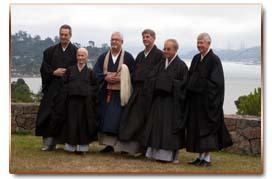 In the first photo, from left to right, is Peter Schireson,a senior teacher assisting, ordinee Karen Geiger, teacher Chikudo Richmond, Peter, ordinee Al Tribe (brother of Laurence) and Ed Satizahn, another senior teacher assisting. The little "bib" they are wearing is called a rakusu. It is a miniature Buddhist robe made in eactly the same manner as the formal okesa, the priest's robe which Peter spent a year sewing. In the ceremony the ordinees are given the large black robes called koromos, which go over the white jabon and the grey kimino underneath. They are also given a set of three nested bowls, chopsticks and a spoon, which are wrapped and used for eating during long retreats. They are called oryoki. The okesa is worn over the left shoulder, but they have been removed since the ceremony is over. The rakusu is the easier, but less formal equivalent than the okesa. The second photo shows Peter with his daughter Ariel just before they left for the ceremony. She flew out from Utah to witness this important event in her father's life. 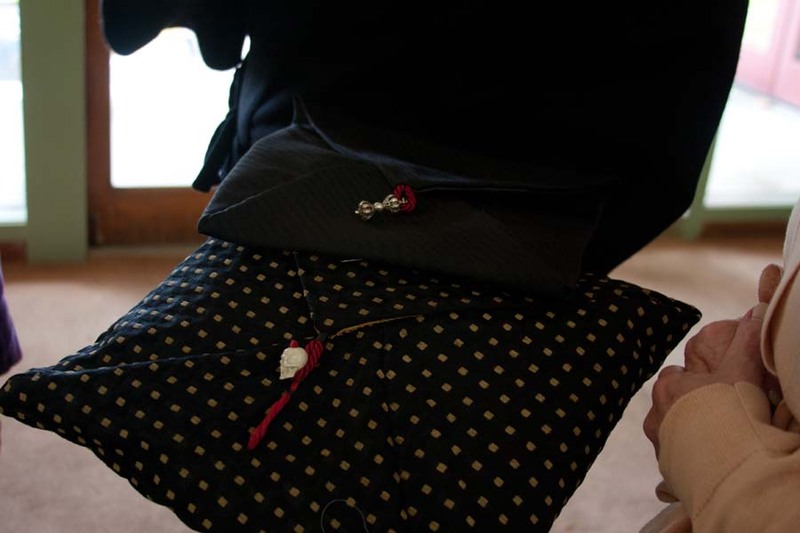 The third photo depicts two "envelopes" which Peter sewed for the okesa and the rakusu.